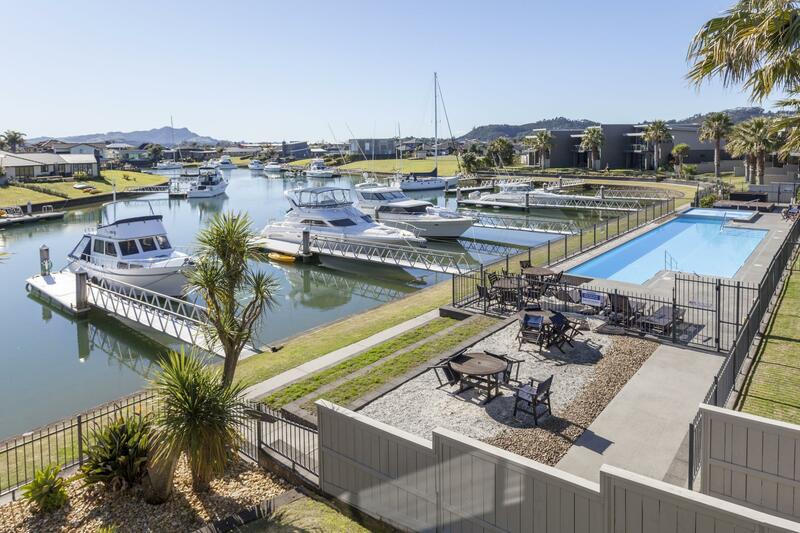 إن فندق Sovereign Pier on the Waterways بموقعه الممتاز في Whitianga هو نقطة انطلاق جيدة لنزهاتك في وايتيانجا. يمكن من هنا للضيوف الاستمتاع بسهولة الوصول إلى كل ما تقدمه هذه المدينة النابضة بالحياة. بالنسبة لمن يريد الخروج، هذه بعض المعالم السياحية المتوفرة للزوار ميركوري توين, Bread & Butter Gallery, ‪The Lost Spring‬. يعمل Sovereign Pier on the Waterways على ضمان إقامة مريحة لضيوفه من خلال خدماته الممتازة وحسن ضيافته. تتضمن الميزات الرئيسية في هذا الفندق: واي فاي مجاني في جميع الغرف, مرافق مخصصة لذوي الاحتياجات الخاصة, صف السيارات, التوصيل من وإلى المطار, مرافق للشواء. تنعكس أجواء Sovereign Pier on the Waterways في غرف الضيوف.تلفزيون بشاشة مسطحة, حمام إضافي, سجاد, مواد تنظيف, رف للملابس هي بعض الميزات الموجود في العديد من الغرف. يقدم الفندق مجموعة رائعة من الخدمات كمثل حوض استحمام ساخن, شاطئ خاص, مركز للياقة البدنية, حمام سباحة خارجي, ملعب تنس، لجعل إقامتك تجربة لا تنسى. مهما كانت دواعي سفرك فإن Sovereign Pier on the Waterways هو خيار ممتاز لإقامتك في وايتيانجا. Great views of the water however there were a few things that could have made our stay better. The garage door remote wasn't working, the bath plug wouldn't lift, the second bathroom nearly flooded due to the drain and the dryer wouldn't work. We went to Whitianga for Easter weekend with our friends (couple). Place was so big, very clean and tidy with an amazing view from a balcony. They had everything we needed, staff was very friendly and helpful. We really enjoyed our time there and we will definitely come back! Is really beautiful, clean, everything is quality stuff. Their service is excellent, been liaising with Stuart before my stay with a few questions and requests. All were met and he was very patience and helpful even when we called him after past midnight. Out best stay in New Zealand. Totally worth the money. Highly recommended! 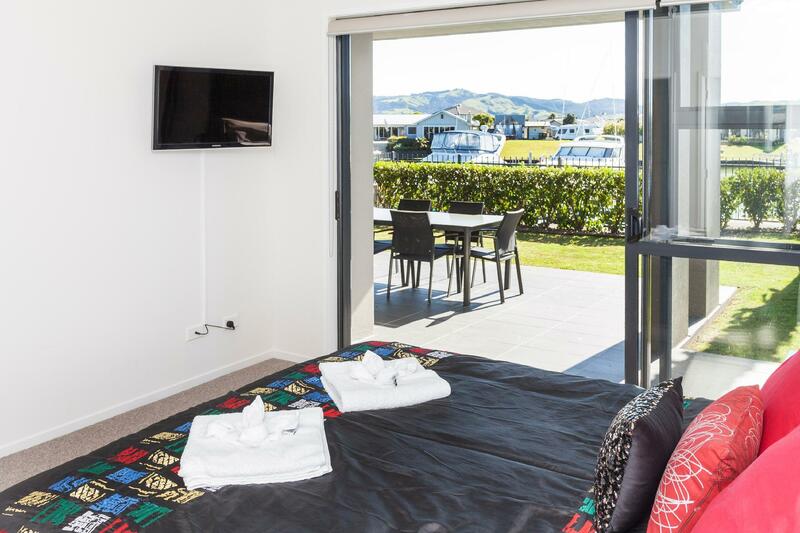 Anyone visiting Whitianga you can consider to stay at this hotel. Love it!!! This apartment is just fabulous. 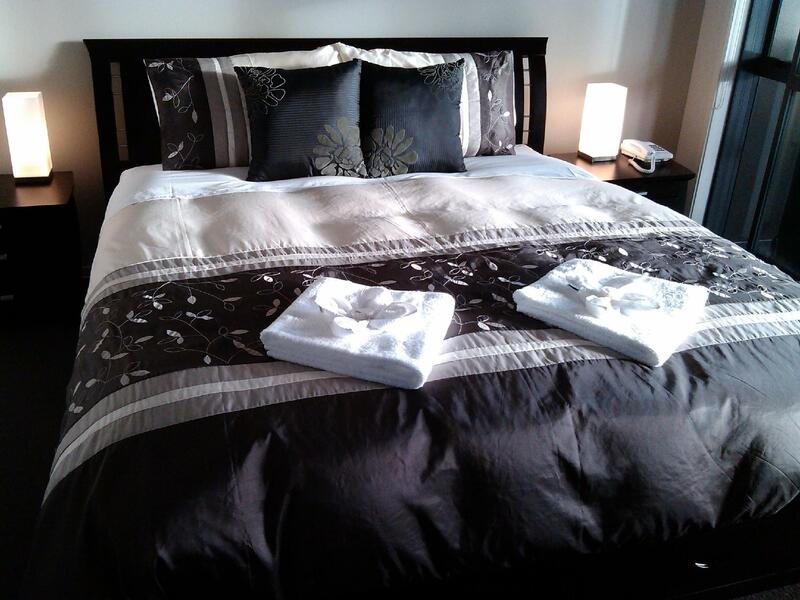 So spacious and extremely well designed and equipped with everything you could think of. Gorgeous balcony overlooking the waterway with the boats. A little walk to restaurants but not a problem at all for us. I The pool is just lovely too. I would definitely recommend this property. Very helpful and friendly management too. Thanks for a lovely stay. 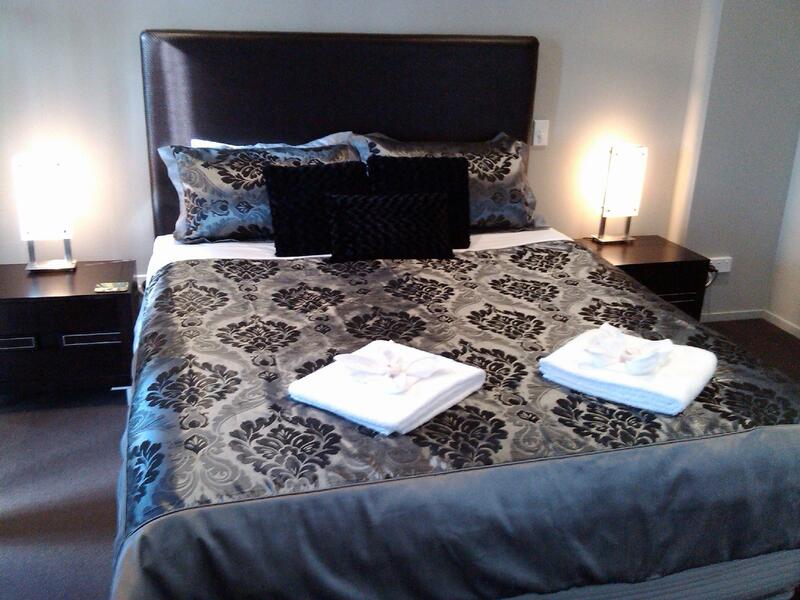 It was a pleasant stay with a spacious room & great view and friendly staff. Room had almost everything what you can ask for. I would prefer to add a wall clock in the hall and a dressing mirror in the bedroom (rather than using only the mirror in washroom). Apart from that all were gooood!!! Great location with the town and shops nearby. Will visit again!! As there were two people, other rooms in the unit were locked so we couldn't use them. Very strict rules made us feel a little uncomfortable and stopped us from relaxing properly. Things such as saying you couldn't cook certain things or you would be charged a lot if you were ever so slightly late checking out. We also didn't like having to clean the kitchen before we left, these are supposed to be hotel like accommodation, not a book a batch. But the location and facilities were good, it was very clean and comfortable, but we would have been annoyed if we hadn't got such a good deal on the price. We probably wouldn't stay here again even if we got another good deal due to the above reasons. I love the place, its very modern and private, each unit is an apartment with garage indoor and outdoor. Excellent space and spacious. We feel like home and very much enjoy our stay. Only downside that wifi internet is a little bit intermittent, might be the service provider around the area, however that not disturb our stay. Excellent and friendly host too. Perfect place to use as base to explore Coromandel Peninsula . 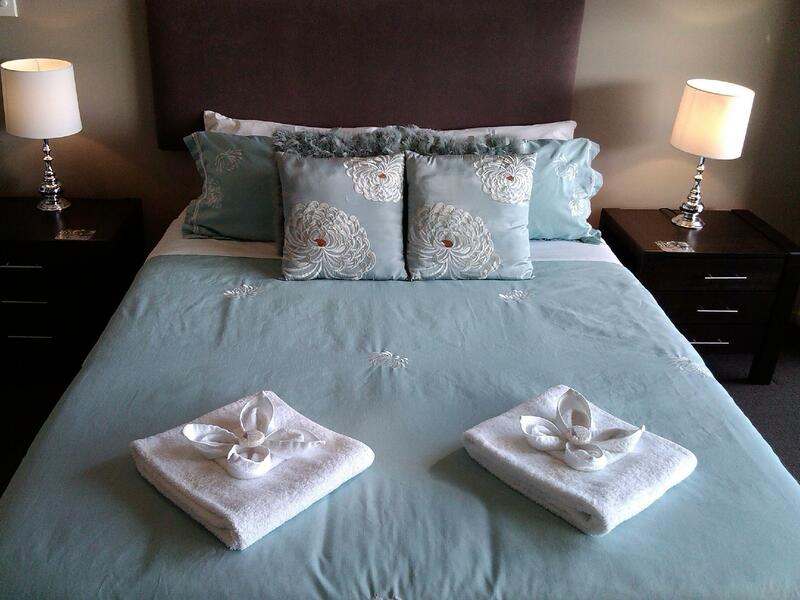 Beautiful accommodation with lovely views. Pleasant welcome and accommodating owners. Very clean and with every amenity. 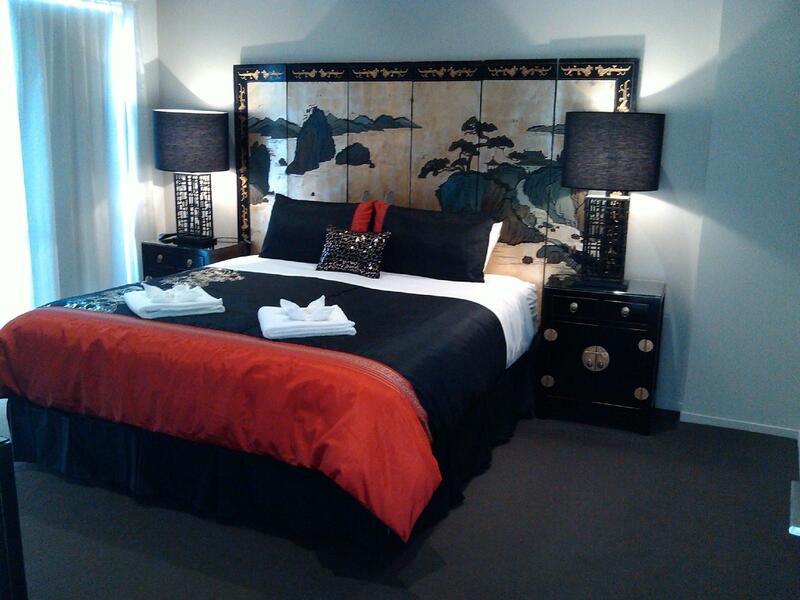 Best place to stay in whitianga. Absolutely excellent value. Spacious, private and very well presented. The facilities are complete. Enjoyable place to relax. Very relaxing.Loved the gas heating.Shower over the bath not so good.Could have some luxurious shampoos hand lotion etc.Maybe Trilogy or similar. It's by far the best stay in our trip. The room is more like a fancy holiday house. Love it.